Poppy Hathaway is the only one of her family that craves a life of normalacy, to not have big adventures, since her life with her family is filled with one adventure after another. Poppy is in the latter part of the season and at the Rutledge hotel where they are staying, on a race for a ferret, and stumbles in a secret passageway she finds herself in Harry Rutledge’s arms and dazzled by his sensational kisses, Harry who is a temptation in and of itself to Poppy. Harry Rutledge wants Poppy and will do anything he can to get her. So when they are caught in a compromising position, which forced Poppy to marry the one man that has manipulated everything to this point. Even though she doesn’t trust him, and is reluctant to marry, she knows that if she doesn’t her life will be ruined. So she marries him, not exactly knowing what to expect out of Harry Rutledge, however she never realized that even though things started a bit rocky, their union would be filled with passion, love and trust. Harry Rutledge never had the respect or love from his father growing up in New York City, America, so he has never been loved or been able to reach other to love someone else. Harry is very successful in London, and very smart with science and has even helped the Government with some inventions. 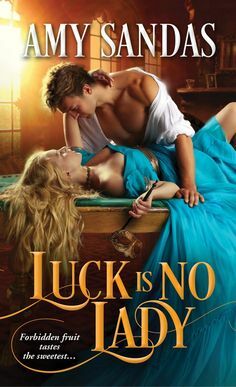 Then he stumbles across Poppy Hathaway the most sensible of them all, and he finds her fascinating with her beautiful smile and her smart conversations, he is intrigued by her, and after their kiss he vows that he must have her, he just never expected such a delightful package that would teach him about love and happiness. Poppy Hathaway is the Fourth of the Hathaways, and the most sensible. Her family is always filled with near catastrophes, accidents all around, animals everywhere she goes, and life full of adventure. But what she craves is peace and quiet in the country. Poppy is very intellectual and loves to converse with people on those topics, however since she has entered society she must converse in boring conversating except when she is with Harry, who seems intrigued by her. But when she is forced to marry the scoundrel that manipulated the events, she is reluctant to every trust him, but starts to see that he needs love and affection more than anyone, because he has never felt it. This is my Third time reading Tempt Me At Twilight, and I just love this one, and one of my favorites written by this author and it is my favorite book of this series. I just have always loved Poppy, and I also love Harry, he is the kind of male heros that I love to read about in love stories. 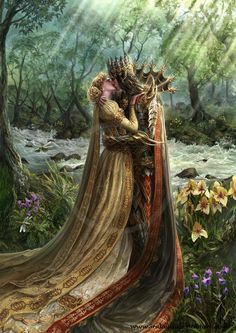 The kind that is so Alpha and wants to take control of everything, but what he needs more is a fiery female who will show him love and tenderness and Poppy surely does this, and we see a change in Harry throughout the story. Tempt Me At Twilight is a tender romance that will definitely make you fall in love all over again, a delightful love story!! !